Recent scholarship has led to the identification and re-attribution of two paintings in The Nelson-Atkins Museum of Art’s collection of European art. 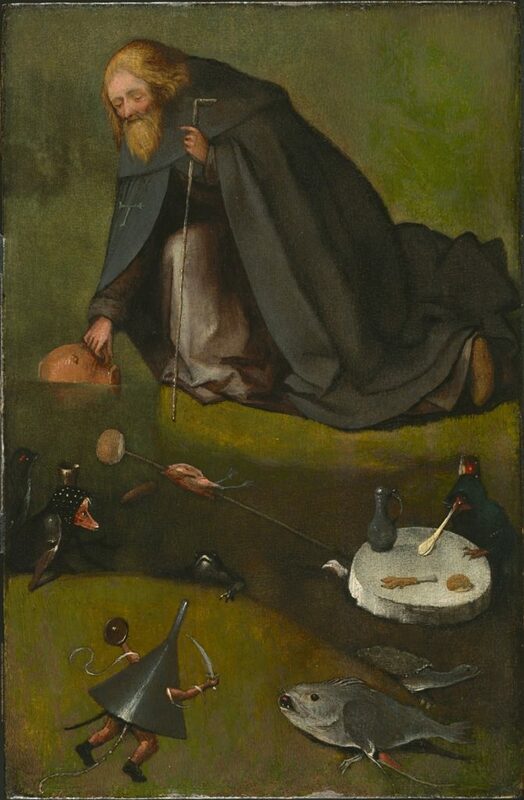 Hieronymus Bosch’s The Temptation of St Anthony and Albrecht Bouts’ Christ crowned with Thorns came into the collection as original compositions but were subsequently thought to be by the hand of assistants or imitators. Traditional art historical methods combined with scientific means of examination have made it possible to dispel these doubts. This exhibition marks the first time the two paintings will be shown to the Kansas City public since this change in their authorship. It offers visitors a glimpse into the type of research that takes place behind the scenes in museums. Hieronymus Bosch, Netherlandish (ca. 1450–1516). The Temptation of St. Anthony, ca. 1500-1510. Oil on panel (oak), 15 3/16 x 9 7/8 inches (38.6 x 25.1 cm). The Nelson-Atkins Museum of Art, Kansas City, Missouri. Purchase: William Rockhill Nelson Trust, 35-22. Albrecht Bouts, Netherlandish (1451/54-1549). 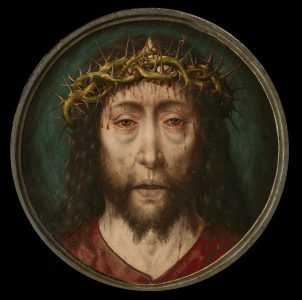 Christ Crowned with Thorns, ca. 1490-1495. Oil on panel, 11 7/16 x 11 3/8 inches (29.05 x 28.89 cm). The Nelson-Atkins Museum of Art, Kansas City, Missouri. Gift of Mary E. Evans and Mrs. John E. Wheeler in memory of Harry Martin Evans, 40-44/4.